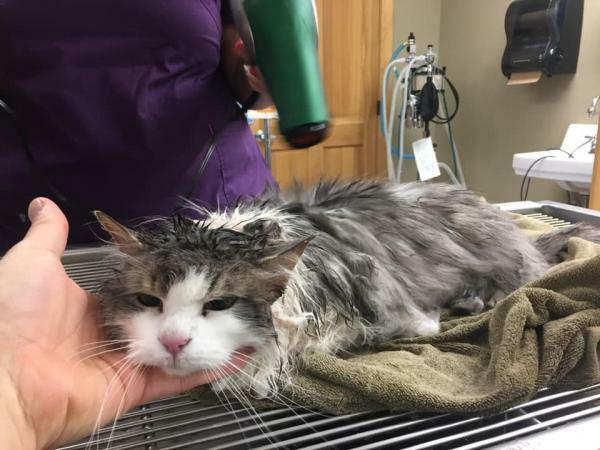 A Kalispell kitty who become lost in drifting snow can warmly recall her chilling ordeal thanks to local veterinarians who managed to reheat ‘Frosty’ back to ‘Fluffy’. Located just south of Glacier National Park in northwestern Montana, Kalispell can get mighty chilly in late January. 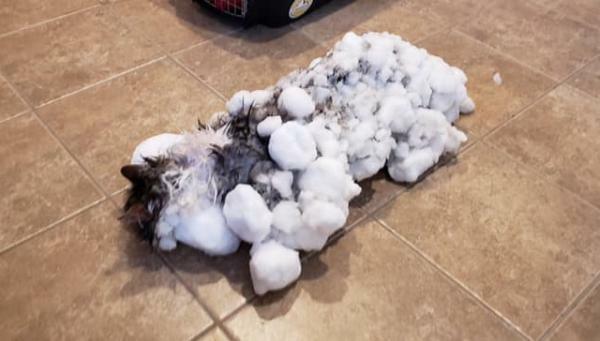 Just ask Fluffy, a three-year-old indoor/outdoor cat who really should have been indoors when he was found by his owners outdoors… snow-covered and unresponsive in a drifted-over snowbank. “She was essentially frozen,” stated Andrea Dutter, executive director at the Animal Clinic of Kalispell, to a CNN reporter. Her body temperature was so low, in fact, that staff couldn’t even measure it on their thermometer. That did the trick: Fluffy began growling after about an hour in the kennel. That’s right, “growling”… normal behavior for her, according to her owners. 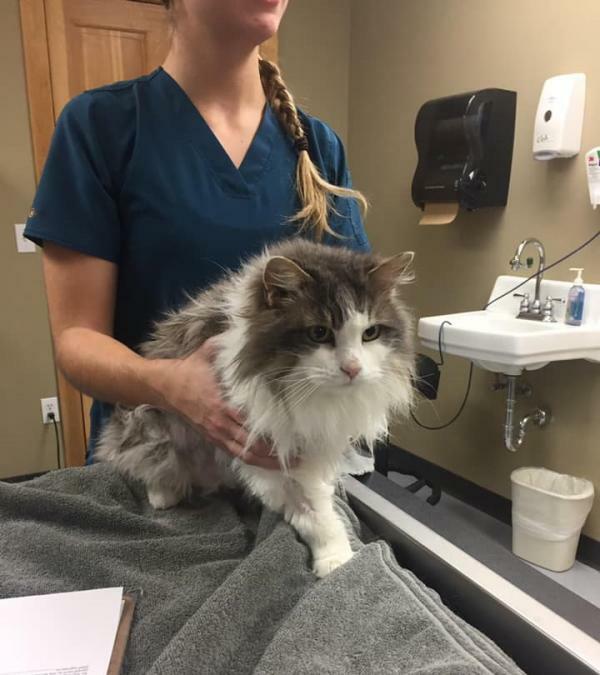 “These crabby cats are survivors,” clinic Dr. Jevon Clark said, and in Fluffy’s case at least he turned out to be right.